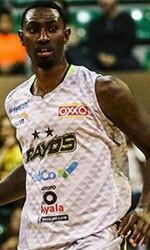 The biggest surprise of round 11 was guest Al Ahli Jeddah's (7-4) road victory over Al Nasr (#5) 81-80 on Friday evening. 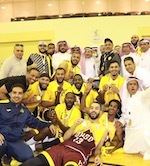 It ended at the same time the five-game winning streak of Al Nasr. Al Ahli Jeddah moved-up to third place, which they share with Al Hilal. Al Nasr at the other side keeps the fifth position with five games lost. They share it with Al Ittihad. Very important is a road loss of third ranked Al Hilal (7-4) against sixth ranked Al Ittihad (6-5) on Friday night. Visiting Al Hilal was defeated by Al Ittihad in Jeddah 83-71. It ended at the same time the six-game winning streak of Al Hilal. Al Ittihad moved-up to fifth place, which they share with Al Nasr. Al Hilal at the other side keeps the third position with four games lost. They share it with Al Ahli Jeddah. Leader Al Fateh delivered the tenth victory on Friday night. This time they beat 8th ranked Al Ansar (3-8) 74-66 in Al Hasa. Al Fateh (10-1) have an impressive series of ten victories in a row. They maintain first place, which they share with Uhud. Al Ansar lost third consecutive game. They keep the eighth position with eight games lost. Bottom-ranked Al Nahda (0-11) tried to put together a comeback for its first victory of the season, but they fell short in the 95-43 loss to seventh ranked Al Wehda (4-7) in Mecca. Al Wehda maintains seventh place with 4-7 record. Al Nahda lost their eighth game in a row. Newly promoted team still closes the standings with 11 games lost. In the last game of round 11 Al Salam was defeated by Uhud in Medina 79-66. There was no surprise in Medina where 9th ranked Al Salam (2-9) was defeated by second ranked Uhud (10-1) 79-66. Defending champion keeps a position of league leader, which they share with Al Fateh. Al Salam lost their seventh game in a row. Newly promoted team keeps the ninth place with nine games lost.